By launching professional IT courses in Ludhiana, IT Gurukul, country’s leading Information Technology Training provider has females cheering all over the city. The flagship IT courses will not only provide best hands-on-experience to IT professionals in a wide range of technologies but will also guarantee job security to each student. Despite, having a rich pool of IT students and academic institutes in the city, Ludhiana industry still lacks in good IT jobs and practical training for students in the city. As obvious, IT students in the city are left with only two options, either to leave their homes in search for better IT jobs and prospects or get absorbed in the local industry and compromise with their careers. While, it is easier for males to migrate to a different city for advanced technology and better standard of living, the option is still elusive for females. A host of different socio-economic and cultural factors prevent many talented girls in the city from pursuing the job and career of their dreams. 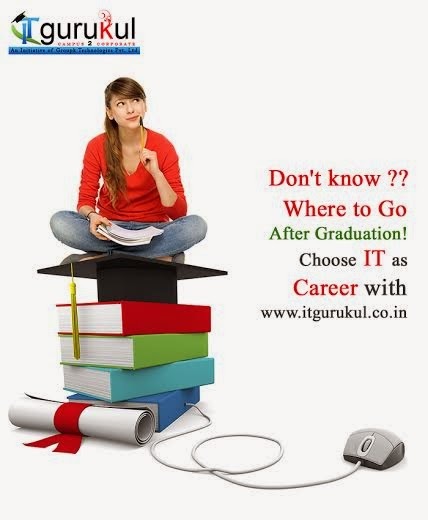 IT Gurukul, an IT Training school and technology company has recently announced the launch of its fresh job oriented courses for IT students, graduates, working professionals and job aspirants. IT industry is one of the most dynamic and quickly changing field. To succeed in IT industry requires constant upgradation of one’s skills, knowledge, and experience with respect to the current trends and technologies in the corporate world. However, academic education is inadequate in supplying the students with practical knowledge and real hand experience in the IT world. So to provide the IT students and working professionals with the right practical training and knowledge of latest technology trends and skills, IT Gurukul has come up with new industry ready and latest technology courses. As per Ms Komal Sharma, Director, IT Gurukul, “our sole aim is to enable young students and fresh graduates fulfill their dream of a successful and prosperous career in the IT world”. The new job oriented training Courses are designed to cover all major technologies ranging from PHP, .NET, iOS, Android, Software Testing & Java and also include all major concepts and topics along with latest trends and updates. The courses are most suitable for both working software professionals and candidates studying in engineering courses ranging from B.Tech, B.E., BCA, MCA, B.Sc., M.SC. with specialization in IT, Computer Science or Electronics.